Patricia Clark, the Rev. John Cardinal O’Hara C.S.C Professor of Biochemistry, has been elected to the Executive Council of the Protein Society. She will serve a three-year term (2015-18), during which she will work with the other councilors to organize and conduct the society’s business and help plan conferences and other activities for the organization’s membership. Research in Clark’s laboratory is focused on understanding how proteins fold in living cells. Specifically, she seeks to understand the precise mechanisms by which the rate that a protein is synthesized can affect its subsequent folding into its biologically active three-dimensional structure. Incorrect protein folding leads to many diverse human diseases, including Alzheimer’s, Parkinson’s, cystic fibrosis, Niemann-Pick and many forms of cancer. Clark is also the director of the Protein Translation Research Network, a National Institutes of Health-funded multi-institutional effort to understand the factors that control protein synthesis rate inside cells. In addition, she is a 2015-16 Faculty Fellow of the Kaneb Center for Teaching and Learning at Notre Dame. Clark has received several prestigious awards and recognition throughout her career, including a CAREER Award from the National Science Foundation and a National Research Development Award from the American Heart Association. She is a member of the Biophysical Society where she has served on its council and has been recognized with the society’s Michael & Kate Bárány Award for Young Investigators. 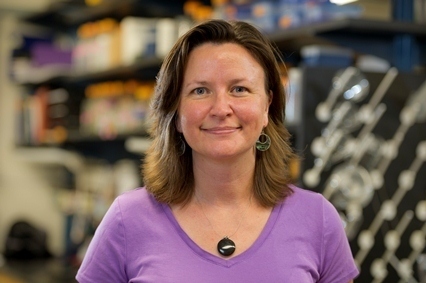 She is also member of the editorial board of Biophysical Journal and currently serves as president of the Gibbs Society of Biological Thermodynamics. Established in 1985, the Protein Society is a global community of researchers dedicated to advancing science through international forums that promote communication, cooperation and collaboration among researchers who study protein. Originally published by Stephanie Healey at science.nd.edu on August 20, 2015.